Looking for a way to convert PDF to JPG? 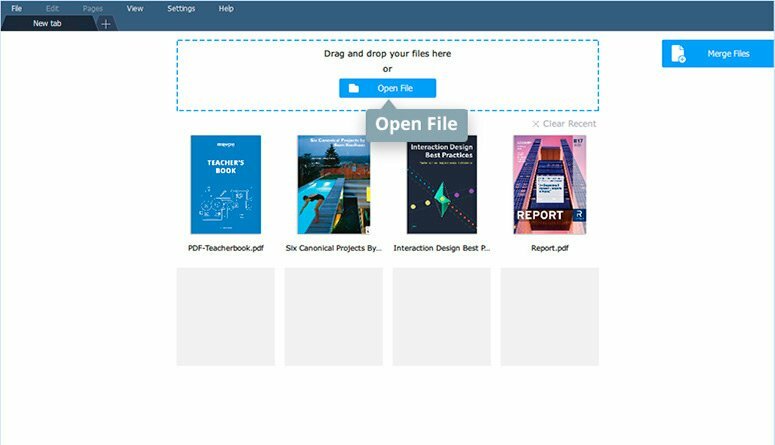 We have drawn up a short list of 3 popular PDF-conversion apps that may be helpful to you, including our own highly recommended Movavi PDF Editor. Users often need to convert PDFs to image files – it’s helpful when you need to extract a picture or diagram from a PDF document, to compress a file to a tenth of its original size, or just to change a file’s format for uploading to a website. It's also important that the conversion does not cause the loss of any quality. If you are new to converting PDFs, it can be difficult to figure out which PDF to image converter is right for you. We have compiled a list of the most popular free PDF to JPG converters. We hope it would be useful for anyone seeking more information about converting PDF files to images. 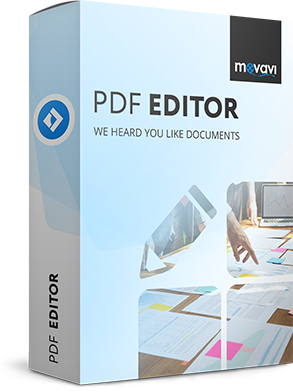 Movavi PDF Editor is one of the most effective instruments for converting a large PDF file to a set of optimized JPG images. Before converting to the JPEG format, you can easily edit the existing document, for instance, to add, rotate, reorder, or remove individual pages. To turn PDF into JPG, follow the steps below. 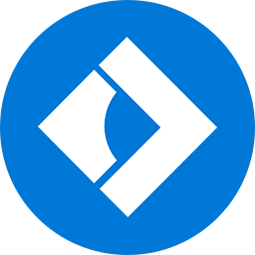 Download and run the PDF Editor executable on your PC or Mac and follow the on-screen instructions. Launch the program, click Open File at the top of the program window, and select the PDF file you want to convert. Select the range of pages you want to export. If you need to export only one page, double-click on the target page with the left mouse button. If you need to process a whole file, hold down the Shift key (the Cmd key for Mac) while clicking on the first and last pages. Сlick on the selected pages with the right mouse button and click Convert to JPG, PNG, BMP in the context menu. In the dialog box, set the file type as JPG. 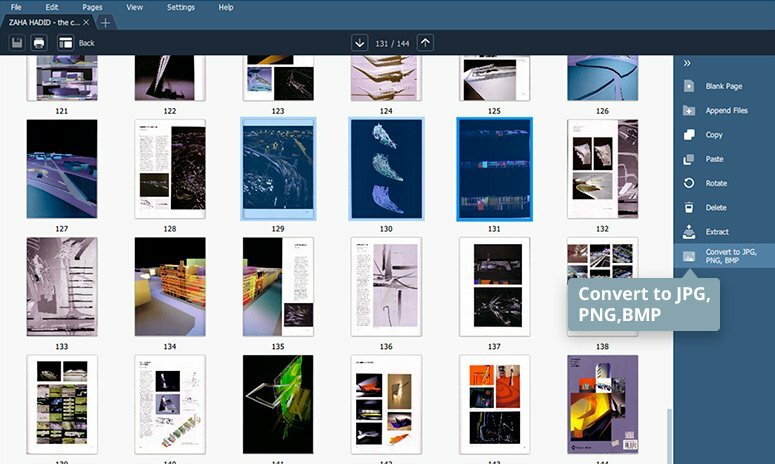 An alternative tool for converting PDF files to images is PDFMate. There is a slight possibility of quality degradation in the exported file, but it handles PDF to JPG conversion quickly and efficiently. If you use the trial version, the popup nag screen may get a little irritating. 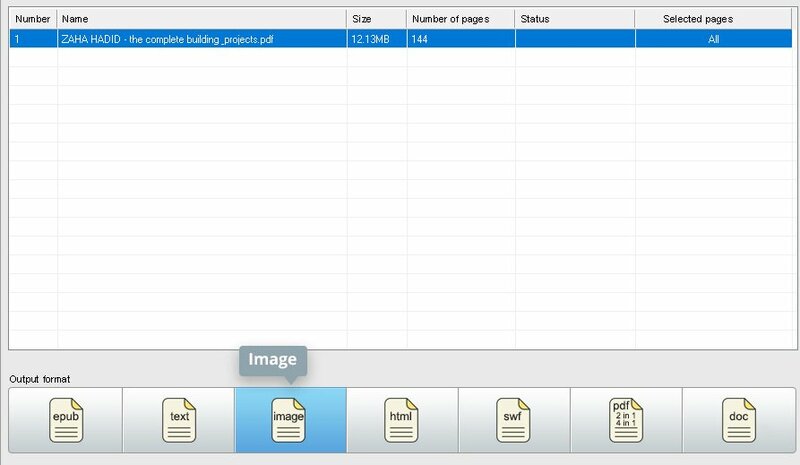 To convert a PDF to a photo or other image with PDFMate, download and install the software on your computer. Click the Add PDF button in the upper right corner of the window. When the Open dialog box opens, select the PDF file for conversion. Then, just hit the Image button and click Create to complete the process of conversion. For those who want to convert PDF files directly in their browser, we suggest Zamzar. This online PDF converter also supports a PDF to JPG conversion. However, the size of files you can upload is limited, and there’s no guarantee your data will be kept secure and confidential. To save PDF as JPG online, go to the official Zamzar website. Click the Choose Files button on the left and select a file to process. Specify the output format using the Convert files selector. Finally, enter your email address in the Email field and press the Convert button. 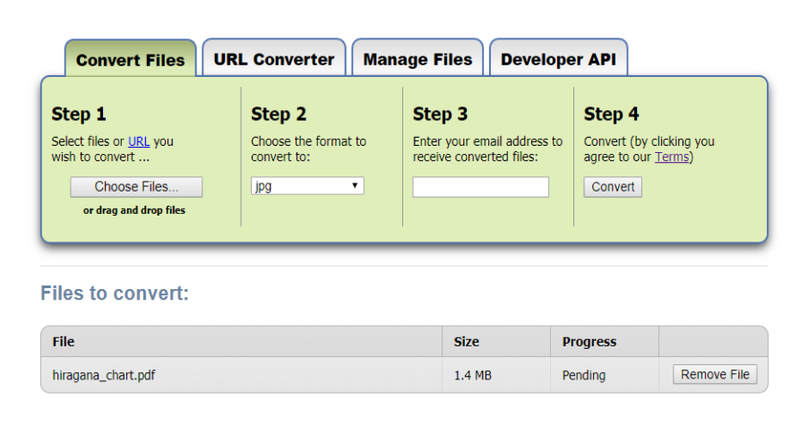 The converter will automatically generate a JPG version of the uploaded file and email it to you. Everything you need from PDF Software! Reading time - 4 min. Reading time - 3 min. Reading time - 7 min.